Are you ready for an easy, super frugal meal? 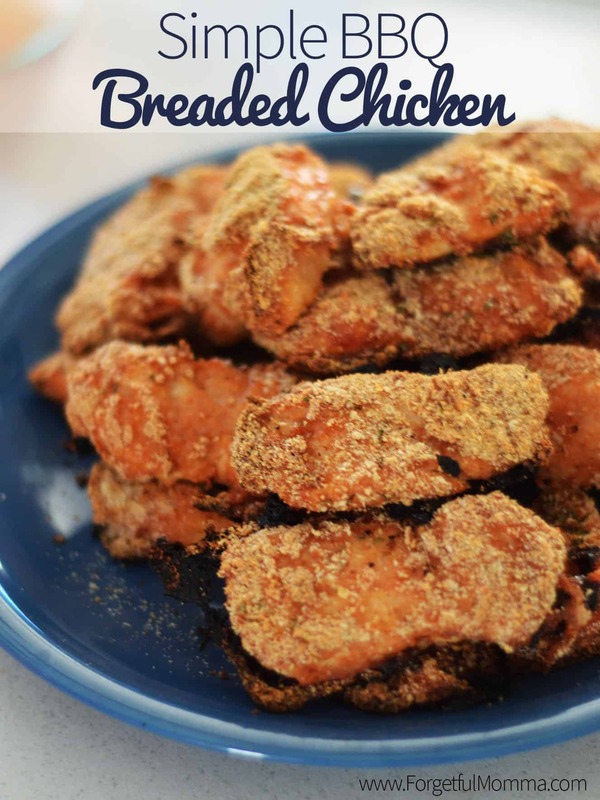 This is simple to make, requires only three ingredients to make this breaded chicken. Two simple, cheap ingredients and chicken breasts (which I realize aren’t all that cheap!). As I said, simple. 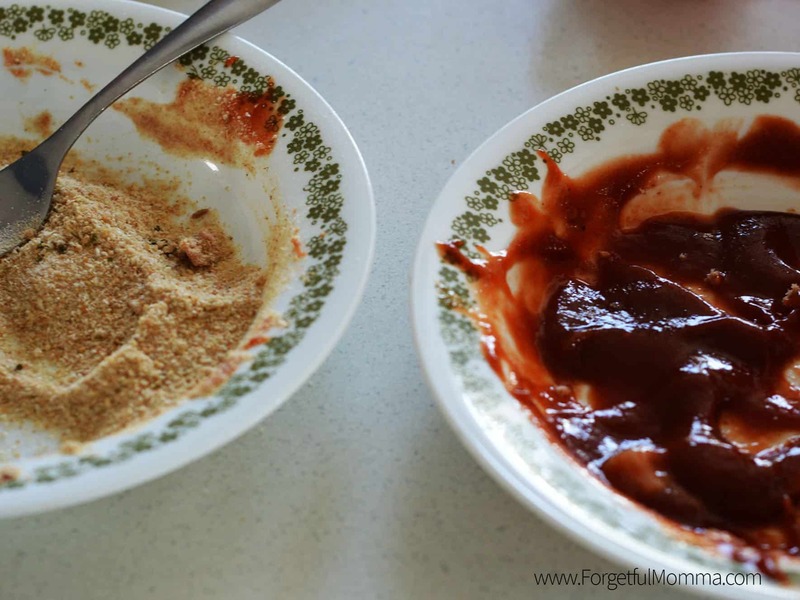 Start with two shallow bowls, one with bread crumbs, one with your BBQ sauce of choice. I lucked out a few weeks back and Walmart had Kraft BBQ sauce on sale for 50 cents each, I grabbed a few. 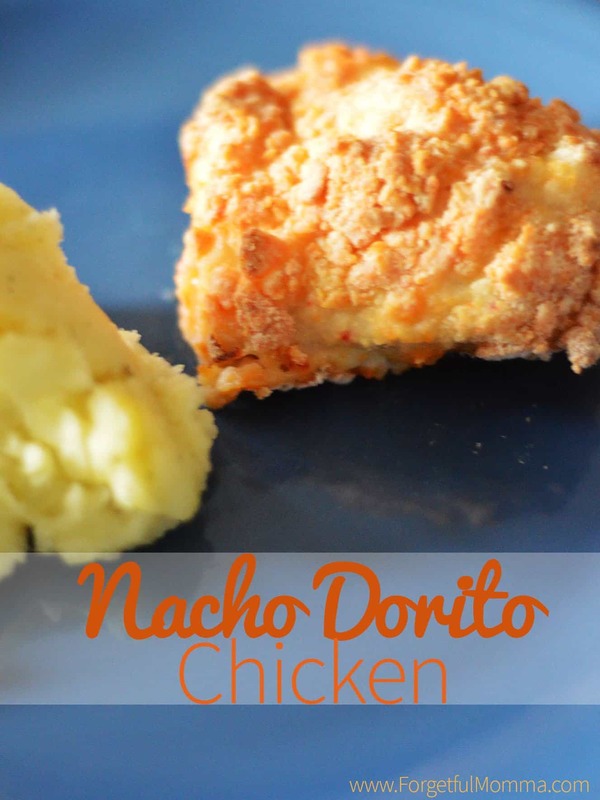 I cut my chicken into chunks to make them easier to work with and so they would cook faster. Pat your chicken dry or the BBQ sauce isn’t going to stick. 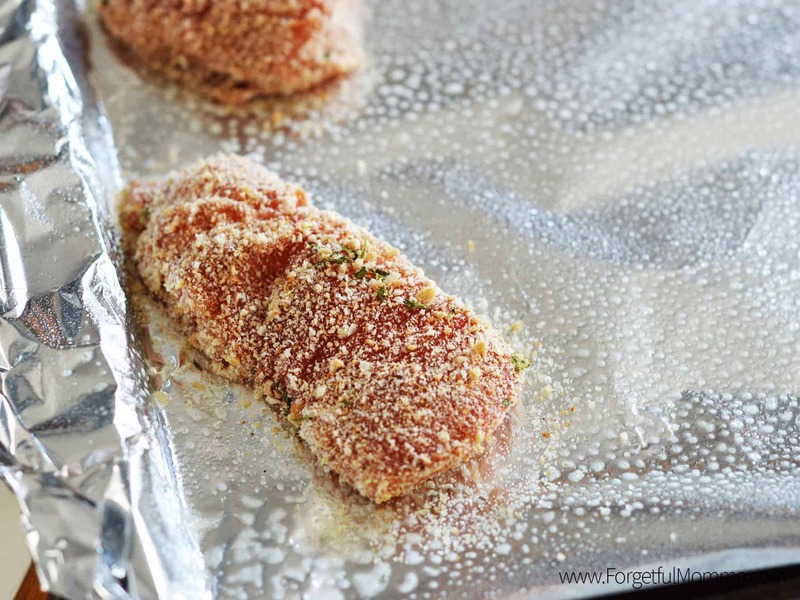 Cover a baking sheet in tin foil and coat with non-stick spray. Start with the BBQ sauce, drag your chicken through it to coat. Then coat in bread crumbs. Lay on your baking sheet. Repeat. Bake at 400 for 15-20 or under cooked. The size of your chicken pieces will determine how long it takes to cook. Despite how it looks here, they didn’t stick at all. And just lightly crisp around the edges. 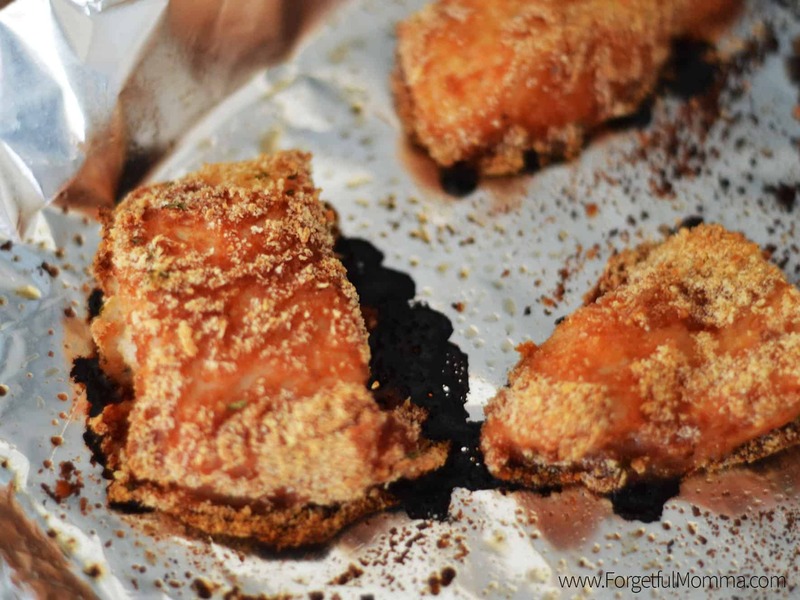 This breaded chicken was super tasty, and three of my kids love it! Cut chicken into chunks to make them easier to work with and so they would cook faster. Pat your chicken dry or the BBQ sauce isn't going to stick. Cover a baking sheet in tin foil and coat with non-stick spray. Start with the BBQ sauce, drag your chicken through it to coat. Then coat in bread crumbs. Lay on your baking sheet. Repeat. Bake at 400 for 15 - 20 minutes or until cooked through.